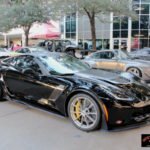 Home » Posts tagged "2016-SEAM"
Posted on November 29, 2016 Posted in Corvette Features, Corvette News and Archives, Vette Vues Magazine Past Coverage of Corvette Events	. Posted on November 16, 2016 Posted in Corvette Features, Corvette News and Archives	. 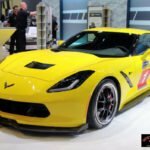 Tags: 2016 SEMA Corvette Coverage, 2016-SEAM, 50th anniversary of SEMA, Jeff Nowicki C7 Concept Z Corvette	. 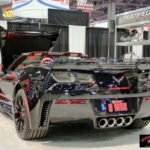 Posted on November 16, 2016 Posted in Corvette Features, Corvette News and Archives, Vette Vues Magazine Past Coverage of Corvette Events	. 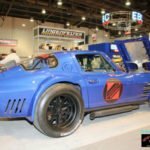 Tags: 2016 SEMA Corvette Coverage, 2016-SEAM, 50th anniversary of SEMA, c3 grand sport corvette replica, Ken Lingenfelter, LINGENFELTER CORVETTE DISPLAY, Lingenfelter supercharged Z06 Corvette, Lingenfelter Superformance C3 Grand Sport Replica, Optima Street Challenge Car, z06 optima street challenge car	.